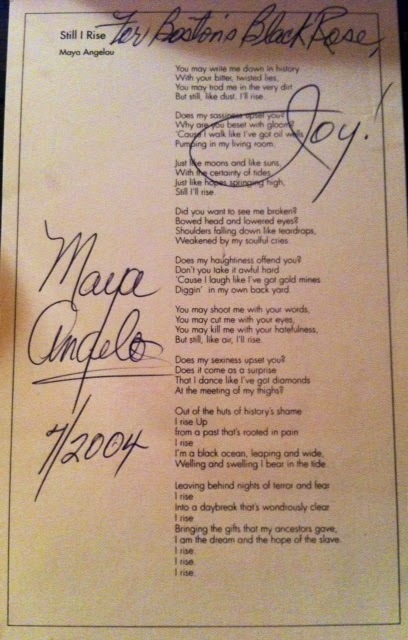 July 2004 I had the privilege of sharing a moment with Maya Angelou; that interaction was one I will never forget. On that afternoon in July, I met one of the biggest inspirations in my life and to this day I can safely say I’ve never forgotten the way she made me feel. Her legacy will sustain the ambition I still hold in my heart and help me RISE so for that I’m forever thankful and in her debt.